Summer in Newcastle, and Australia in general, can be long hot and brutal. It can be tough on us, our pets, and also the garden and lawn! Heaps of sun and not much rain can make it quite hard for your lawn to grow, thrive and survive during the summer months. Let’s take a look at some tips to help your lawn along this summer so it can be healthy and happy all the way through to autumn. Ideally, preparing your lawn for the hot onslaught of summer is the best way to ensure its chances of survival. Getting it healthy and happy before the warm weather arrives will help it to cope with the shock that summer can cause. One way to do this is by deep watering. This helps to create a root system that is deeper underground than usual. This means that your lawn has a better chance at withstanding a heat wave. You can do this by watering your grass less often, but for longer. Give it a good, deep soak – this will give its root structure a growth spurt. Although you should be doing this regularly anyway, mowing your lawn in summer is important. It keeps the lawn healthy, and in combination with proper watering, will help it cope over summer. You could even lower the height of your mowing – but only if you have no current water restrictions. Those with water restrictions in their area should actually increase the height of their lawn to help insulate the soil from water loss caused by heat evaporation. No, not James Bond. Wetting agents are helpful chemicals that get into the soil and help it to actually attract water. This means that your soil can hold water for longer than normal so your grass can feed. It is also great for more arid soils as it allows them to absorb and retain more water than usual. This is a really great tip for Australian summers, which can be long, hot and dry. You’ll give your grass the best bet at surviving summer if you get up at the crack of dawn to give it some water. This is the ideal time because the sun has not fully risen, the day is as cool as it is going to be, meaning water is less likely to evaporate. Hi Quality Turf are experts on all things grass. 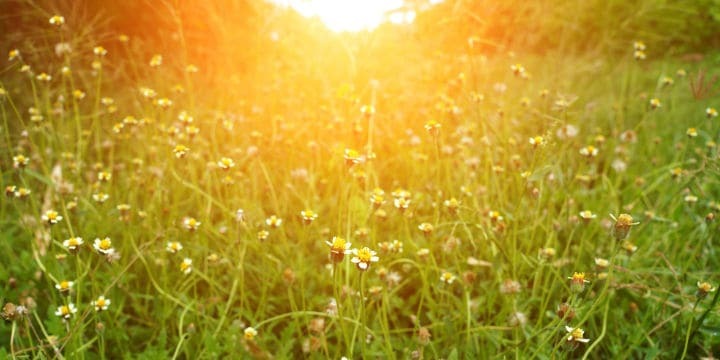 We can give you some more tips on helping your grass survive the heat. To get an instant quote or buy online, visit our website now or call 1800 040 981. See our full contact details here.